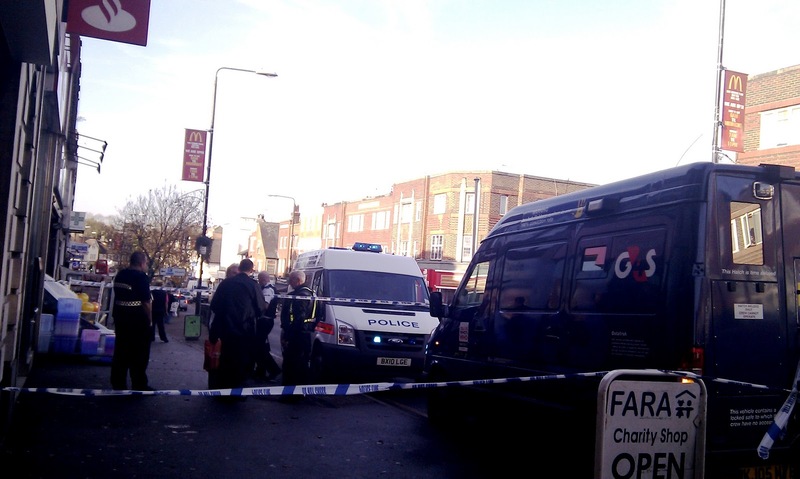 A major police incident is underway at the Santander bank in Central Road following an incident at 13:00 today involving a cash in transit outside the premises. Central Road has been partially closed to traffic whilst police investigate. Blog sources tell me that thieves snatched the cash box from the G4S driver before speeding off down Central Road in a car (understood to be a silver Mini) It is not thought to have been an armed incident.